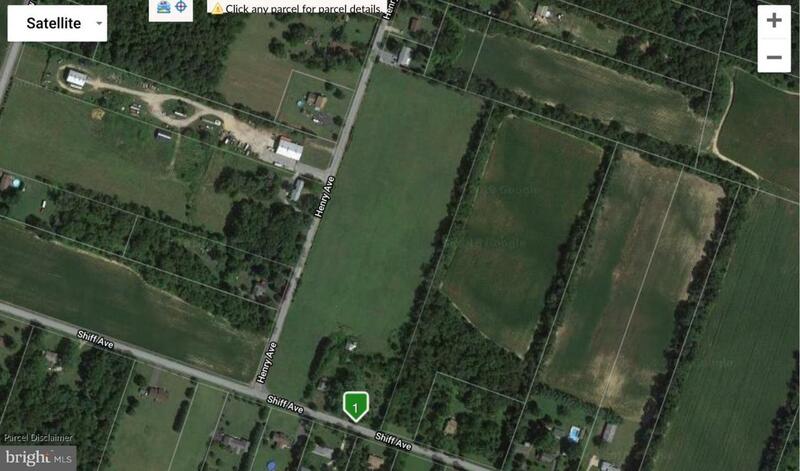 Great 12.9 acre parcel in desireable Pittsgrove Township. 11.1 acres is currently being farmed as an approved, Q Farm and possesion is subject an agreement with the farmer. The house is zoned on the other 1.8 acres, but all on one deed. The house and 2 farm buildings will most likely need to be torn down, so the value is in the land. The frontage is 1262 ft along Henry Ave and 445 ft on Shiff Ave. The taxes are estimated currently at $5373. and would be subject to your future use. Since the majority of the land is cleared, the possible uses seem endless.